This should allow scrollwheel controls when browsing ML menu while recording H.264. Tested only in QEMU. Fixes small memory test on 50D and 5D2. 75fab56: Lua dryos.directory.children: exclude "." and ".." from directory listings. Added API test for recursively listing directory contents. This forces the garbage collection to run, and appears to be enough even for large scripts. 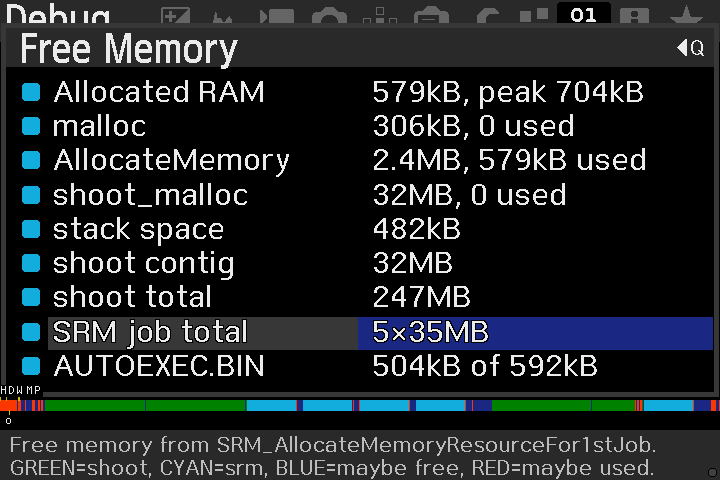 Without this, api_test.lua could end up allocating the entire AllocateMemory buffer from ML core, leaving the system without RAM. Fixes crash on 5D2 with 50/1.8 STM. Also applied on 50D and 500D. 550D and 7D might require the same workaround with certain lenses, to be tested. and made it available for modules. Issue: touchscreen stops working after pressing SET in PLAY mode (700D, maybe others). This workaround only covers pressing SET from some playback dialog, such as erasing an image. To test: play Arkanoid right after powering up the camera, without going to PLAY mode or LiveView. If you get artifacts in background, your camera requires this workaround. Useful for naming a few more functions, but requires entering the DryOS shell to trigger them. Stubs for 5D3. - fixed serial flash read interrupt; file I/O working! If the "(null)" string is not found in the firmware, the GDB tests will fail with timeout. 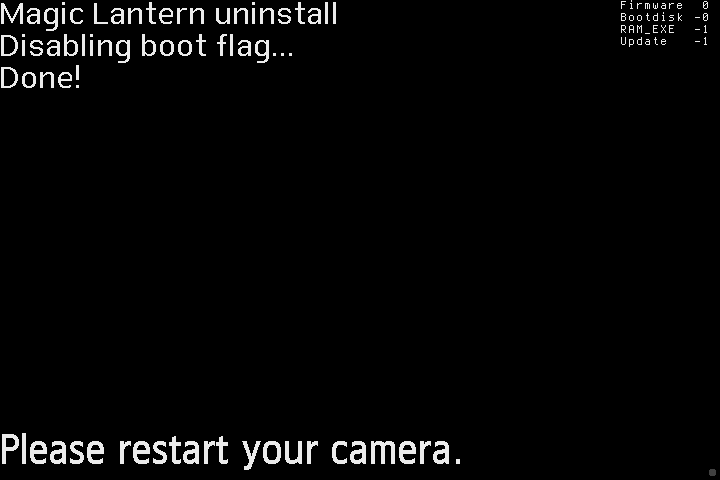 0e27b6b: Makefile: always check all minimal targets when running "make zip"
Fixes FA_CaptureTestImage on 700D and 650D. Fixes preview on 5D3 and 1100D, where Canon firmware does not allocate one at startup. Most of them will fail; to be fixed. Also show the last few lines from the compilation logs if there's an error. By default, CONFIG options are only used for the generic profile. This enables qprintf for debugging DIGIC 6/7 ports using the minimal profile. 185da25: Find the latest version of exiftool. 8c87b81: Fixed stub. Discovered while running lua API tests. - these look pretty much like regular timers (same offsets), but behave like HPTimers! - UTimer patches from DIGIC 6 no longer needed! 1834cd8: QEMU: removed unused entries; moved ML helpers to a different GPIO range. 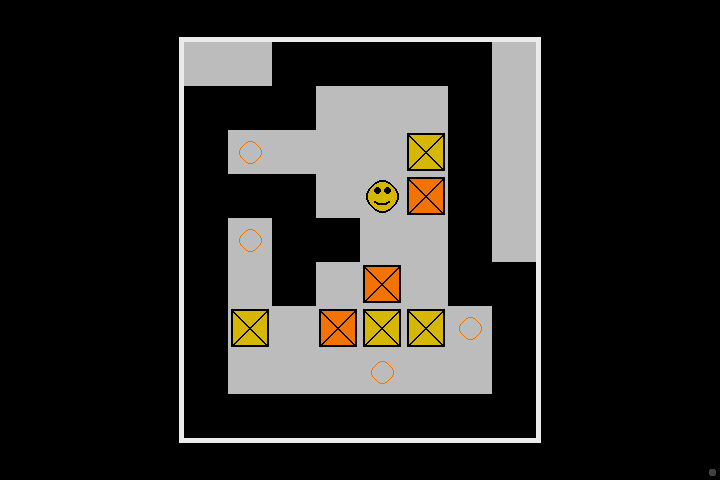 Old range was not accessible on certain models, such as PowerShots and DIGIC 7. 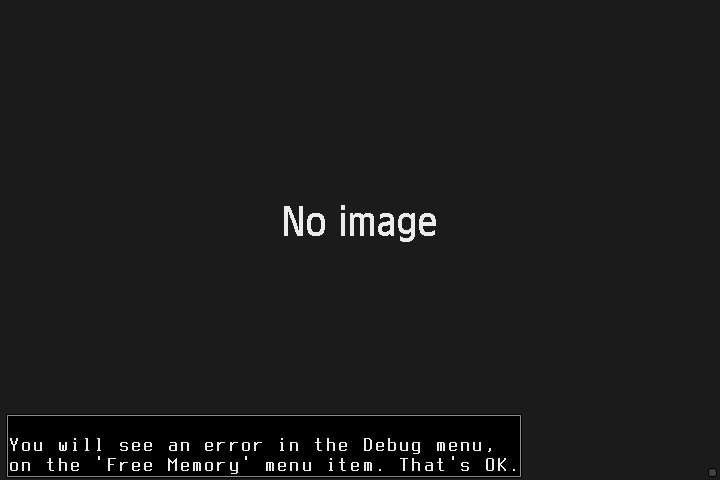 Old GPIOs are still accepted (debugging existing code from experimental branches is still possible without merging latest qemu). Tested on 5D3 1.1.3, EOSM2 1.0.3 and 80D 1.0.2 (missing stubs added). 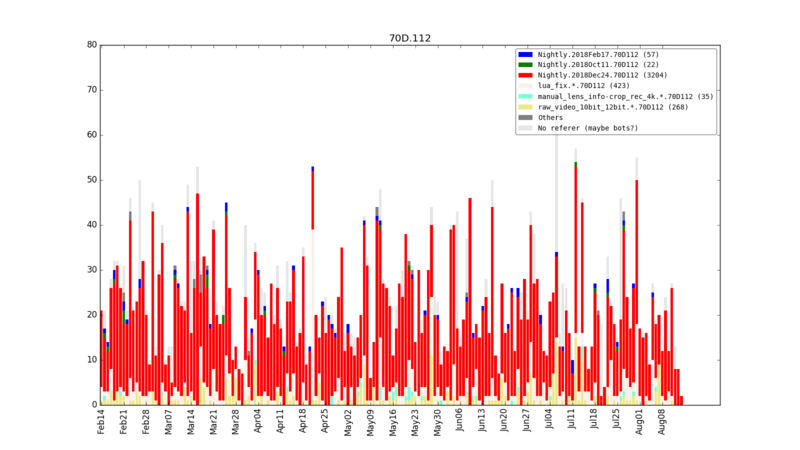 248458f: annotate_mpu_log.py: mark unknown MPU messages with ??? Easiest way: use the same name for all tasks started by Lua scripts. 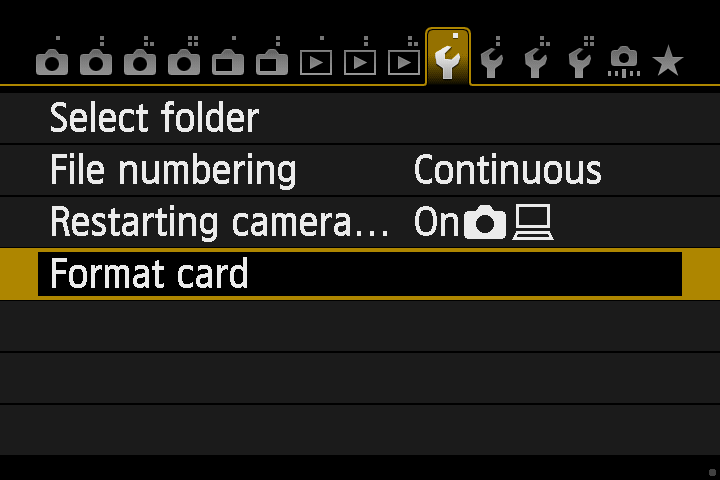 Tested on 5D3 with GUI mode 41. 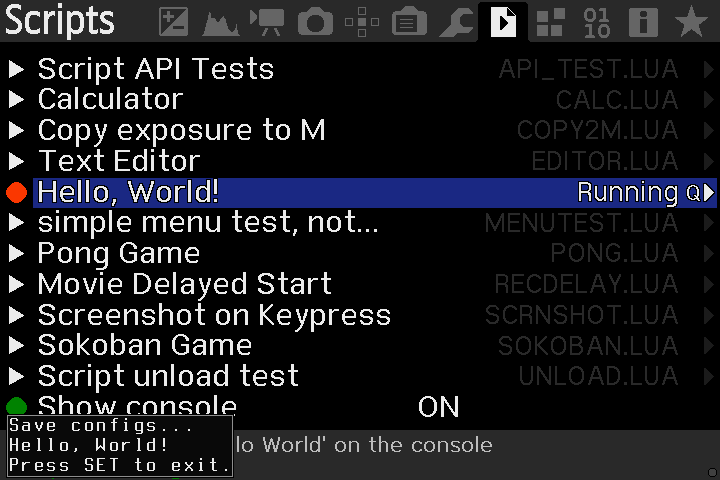 Tested in QEMU on 6D (it keeps poking the MPU while ML menu is open). 562116e: Auto ETTR: backout EOS M specific changes (pull request $428), hopefully no longer needed. Triggering by SET should now work just like on all other camera models. Not tested, please report back. Change made generic, for any future models that might use a combined Q/SET button. Some cameras have dedicated movie mode on the dial, others use a switch and can record video in any mode dial position. 8c575ef: QEMU: updated GUI tests for LiveView. 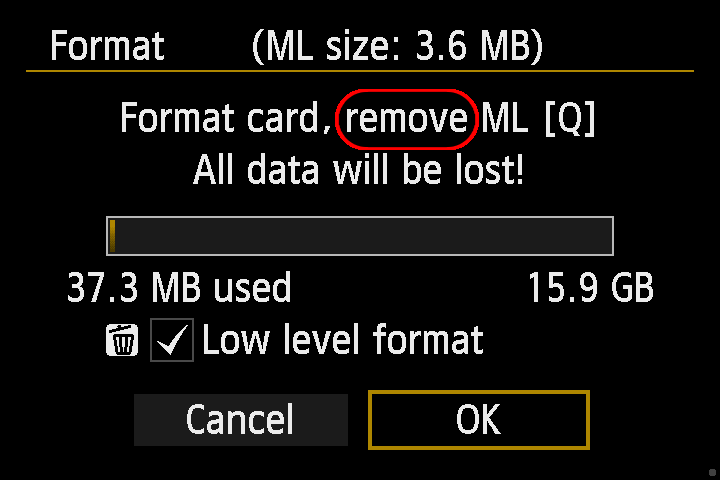 EOS M/M2: no more reason to start with the date/time dialog. Still some color palette issues; usually can be worked around by switching to other video mode and back. Tests not yet updated, just to check whether the implementation is really without side effects outside LV. 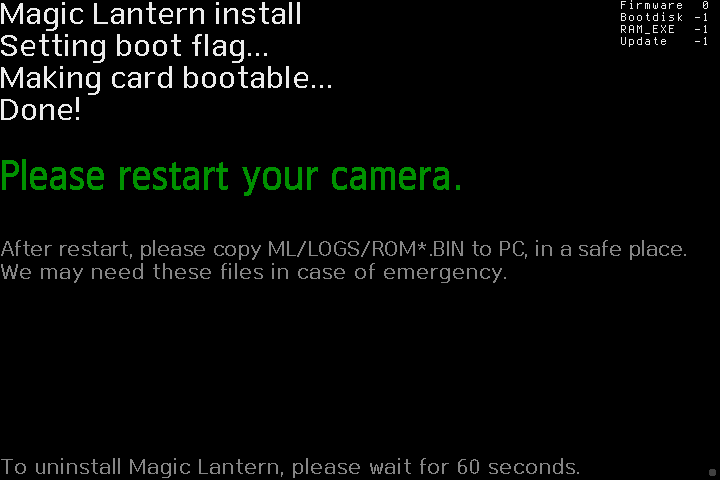 Only one screenshot changed - on EOS M (that screenshot was already in LiveView). Note: 70D uses more EDMAC connections; increased number from 48 to 64. No visible differences on the UI, but heartbeat is now triggering on all VxWorks models. Minor emulation differences on 60D, 600D, 650D, 700D, 100D, EOSM, 6D (besides VxWorks models). Change required to pass the memory benchmark on 5D3 and 6D. 700D gives the same error if writes are delayed. Minor changes to call/return trace on 60D, 600D, 1200D and 1300D (no visible effects). 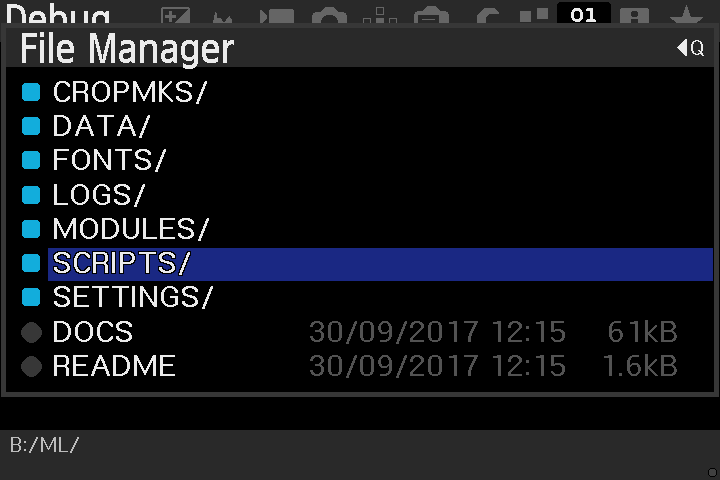 Make sure you are running Canon firmware 1.1.2. Raw overlays not working in photo mode.